Psychologists claim that going through a divorce, purchasing a home or being involved in a law suit can be one of the most emotional experiences the average person will encouter during his or her life. The legal system can be overwhelming and many people rightfully feel vulnerable while engaged in the process. 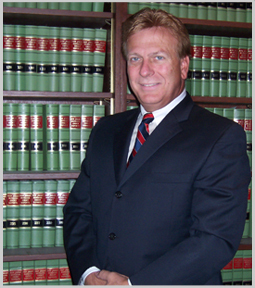 John D. Murray, (know to his clients and piers as "Jack") lead attorney of Murray & Murray, has successfully represented clients in complex Divorce litigation, Personal Injury litigation and Real Estate matters for over 35 years. Jack Murray is known as a tough, thorough and tireless litigatior, who is well respected by fellow lawyers and Judges alike. His firm proudly serves clients throughout Morris, Sussex, Essex, Somerset, Bergen, Middlesex and Hudson Counties with a passion for obtaining the best possible result while remaining sensitive to the client's emotional and financial needs. Success and satisfaction are the reason our clients continue to be our best source of advertising. If you want a law firm that fights to protect your interests, choose one of the best. Hire Murry & Murray, you won't regret your decision. Count on Murray & Murray to fight for and negotiate the most favorable outcome possible for you and your family. We represent families involved in divorce, involved in personal injury matters, or seeking to purchase or sell their home or business. Decades of experience both within and outside of the court room have provided us with the skills to successfully represent your interests. We are well-known and respected in our areas of legal concentration throughout the Northern, New Jersey, area. When it comes to litigation, the goal is to obtain the very best result for our clients, either through a trial if necessary or by negotiating the best settlement possible under the circumstances. Our record of success speaks for itself. We have achieved substantial results for our clients providing them and their families with financial security and peace of mind. buying or selling real estate. 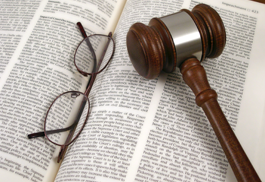 Ensure every detail of your court case is carefully analyzed when you choose Murray & Murray in Randolph, New Jersey. We provide legal services in "complex " divorce litigation, personal injury and real estate matters. Our firm is licensed to practice in the Superior Court of New Jersey, Supreme Court of New Jersey, the United States Federal District Court. 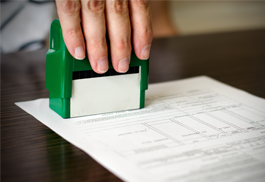 Jack Murray also holds a special license to practice before the International Trade Bar. For more than 35 years, we have fought for families in distress and provided the personal attention they deserve. Our head attorney is well-known and respected among peers and judges because of his tough, thorough, and tireless litigator practices. Success and satisfaction are the reasons why clients continue to serve as our sole source of advertising. When you need a civil lawyer who will fight for your interests, hire Murray & Murray with a proven track record. 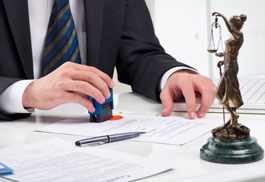 Read over our head attorney's resume for extensive background information.